On May 6, 2013, the Hunter College Symphony & Choir performed Finlandia. Since the link opens in a separate window, you may listen to the performance while browsing this website's pages. Lodge 205 members are impressed with Anne-Lilja vocal talent and that she travels from Manhattan to participate in our Lodge events on a regular basis! NPR Radio, in their “Performance Today” program of December 1, 2006, Finnish conductor Esa-Pekka Salonen joined program host, Fred Child, to talk about the origins of the symphonic poem "Finlandia" by Jean Sibelius, and what it means to Finns today. Then, Salonen conducted the Los Angeles Philharmonic in a concert performance at Disney Hall in Los Angeles. Note that since this link will open in a separate browser window, you’ll be able to listen to "Finlandia", while at the same time, continue exploring this Web-site! 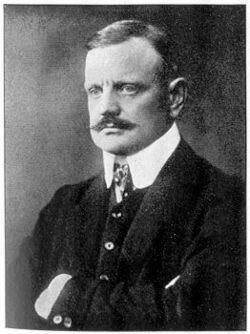 Click for NPR program on Sibelius & "Finlandia"